Sheryl Ann Nicholson Bonner obituary. Carnes Funeral Home. 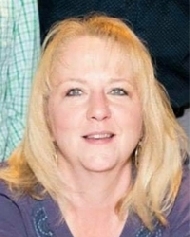 After a brief battle with melanoma, Sheryl Ann Nicholson Bonner of Liberty Hill, Texas passed away on January 31st, 2019 in Austin. Her final days were marked with courage, dignity, and grace. Sheryl was born in Port Arthur, Texas on December 10, 1963 to Charles and Judy Nicholson. She enjoyed a childhood full of family, adventure and God’s love. She was a voracious reader, a protective sister, a loving daughter, and “one of the few girls that could keep up with the boys,” as evidenced by her master skills in fort-building, tree-climbing, bike-riding, and all-around playing. Sheryl graduated from Leander High School and continued her education at Abilene Christian University. She began working for Boon-Chapman in 1988, where she would flourish and grow, earning respect and recognition not only locally, but industry-wide. She continued her work there until 2017 and was employed by Assured Benefits Administrators, Inc. at the time of her passing. She also served as a Board Member for the Society of Professional Benefit Administrators, beginning in January 2018 until the time of her death. Without question, the loves of Sheryl’s life were her three children, Cody, Jessie, and Jennie Bonner. She parented them with a fierce and protective love, unconditional support, and a commitment that was second to none. Those who were privileged to know and interact with Sheryl would describe her in many ways: loyal, wise, determined, committed, funny, smart, resilient, strong, caring, kind, loving, tenacious, fierce, gentle, thoughtful, sassy, sarcastic, tough. . . just to name a few. She was an inspiration to many, always up for an adventure, a good laugh, or a delicious plate of Mexican food. She was a devoted Christian and an amazing and loyal mother, daughter, sister, friend and employee. During her time at MD Anderson, Sheryl expressed constant gratitude for the individuals whose journey helped pave the way for her treatment. At her request, her body will be donated to the University of Texas McGovern Medical School in Houston for the advancement of science. She is survived by her children: Cody Bonner, Jessie Bonner and Jennie Bonner; Mother: Judy Nicholson Johnson; Siblings and spouses: Scott and Laura Nicholson, Shawn and Shelley Nicholson, Steven and Amber Nicholson; Nieces and nephews: Ryan Nicholson, Austin Nicholson, Allen Nicholson, Ella Nicholson, Niles Nicholson, Amaru Nicholson, Crosley Nicholson, Poppy Nicholson, Oliver Nicholson; Step-siblings and family: Kristi Johnson Starr (husband: Brian Starr, children: Josh Starr, Caleb Starr, and Rachel Starr), Bradley Johnson (wife: Jennifer Johnson, children: Jackson Johnson, Sophia Johnson), and friends who have become family, Mark Mexia and Stacey Minton. Honorary Pallbearers: Alan Gower, Kevin Lowry, Mark Mexia, Bruce Miner, Tony Surles, Josh Waley. Visitation will be at 1:00pm, February 9, 2019 at Leander Church of Christ in Leander, Texas. A celebration of Sheryl’s life will follow at 2:00pm. If making an online donation, please use the following address for the “Who Will Receive Notification” field: Steven & Amber Nicholson, 117 Cactus Flower, Boerne, TX 78006.